Our status as a leader in the fleet management industry is widely acknowledged throughout the UK and our ability to source the full Volvo range stands in support of this reputation. If you require any information about Volvo contract hire or any other brand of vehicle, please call or request a quote. Swedish car-maker Volvo is a name synonymous with safety technology and its large estate models, but it also makes a range of premium hatchbacks, saloons and sports utility vehicles (SUVs). 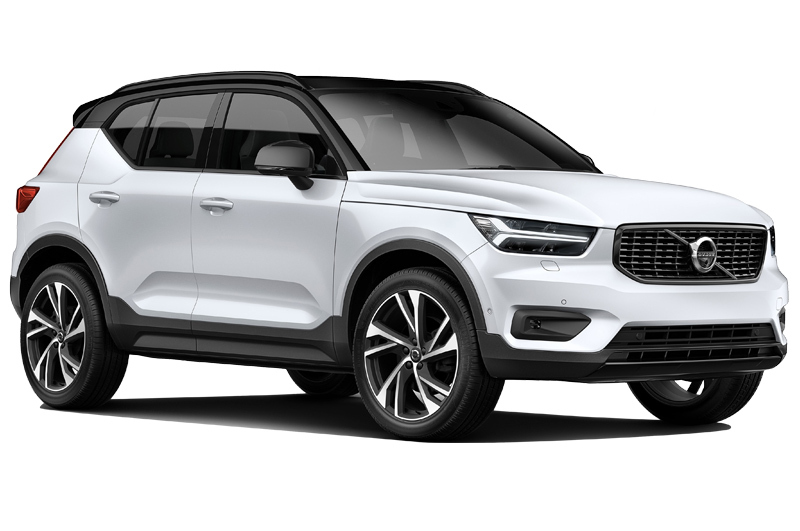 After stating its intention to move away from being known as just a manufacturer of large cars, Volvo has started to introduce more models to compete in the lower premium sector. The range kicks off with the V40 hatchback, a stylish five-door hatch that is at the forefront of Volvo's new small-car ambitions. The V60 is a compact sports wagon, available with all-wheel drive, and is one of Volvo's best-selling cars. There are a range of diesel and petrol units as well as a powerful diesel hybrid option that will be desirable to leasing customers keen to minimise vehicle-related costs and emissions. The S60 is the compact executive model, offering the same engine and specifications providing strong mpg performance and exceptional trim levels, making it a popular alternative to more mainstream compact executive saloons. The XC60 is a premium crossover SUV that is the company's highest-selling model, as a practical, stylish and roomy alternative to executive saloons. The Volvo S90 large executive saloon provides space, comfort and sleek design. This is accompanied by its estate sibling, the V90 providing even more space whilst also offering a Cross Country version. The largest model in the range is the XC90 SUV, a full-blooded 4x4 with huge interior space, high-quality interior and class-leading technology. When you lease a Volvo with us you not only get a great new company car but also an array of leasing options. Our lease products give our customers complete flexibility where they can choose just what is included in their contract, from full maintenance and breakdown cover to insurance and accident management. Speak to an advisor to talk through your options. For more information about contract hire or leasing a Volvo, or any other vehicle manufacturer, please contact us on 0345 266 5602.